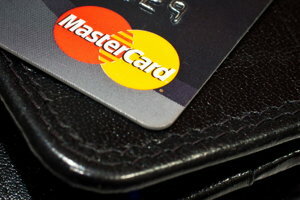 Mastercard was founded back in 1966 by a small group of bankers in California, USA. Originally branded as MasterCard Incorporated, this American multifunctional financial corporation currently now operates throughout the world. 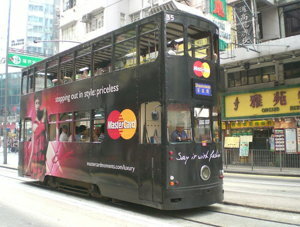 The Mastercard brand has gone from strength to strength over the years, and in 1992 also founded the Maestro card too. The company is headquartered in the city of Purchase, New York, and it continues to run on the same strong values developed by its creators from over 50 years ago. They wanted to introduce a cashless banking system that really put the needs of its consumers first, and to offer an innovative simple, smart and safe way to pay and be paid across the world. Mastercard is a highly advertised corporation globally, and the well known “Priceless” tagline has really helped the brand stand out from the crowd. The company are not only known for their innovative banking services these days, but also many sponsorship campaigns and lots of work within the community too. As Mastercard have grown and developed throughout the years, the company now put a lot of focus on charity work and sustainability projects as well. They are keen to give back and make their mark as a responsible company. Alongside Visa, Mastercard is one of the most popular payment choices for online bingo players these days. It’s nearly always displayed as an option on most online bingo sites, and it’s really simple and easy to use. Also, If you register your Mastercard during the sign up process to a site, then you’ll be able to start depositing and playing bingo straight away. The Mastercard will no doubt have been issued through your bank too, so it will be easy to track payments through statements, telephone and online banking. It is worth mentioning that Mastercard themselves do not issue the cards. They also don’t extend credit or set rates and fees for consumers using their cards. This will obviously be arranged via your own personal bank or building society, and will vary depending on your personal credit history and current financial situation. The main point of the Mastercard is to then offer consumers ways to use it for credit, debit, prepaid and cash access programmes. The Mastercard journey began back in 1966, and what started as a just small group of bankers is now a driving force in the payments industry. Originally the United California Bank, the Croker National Bank and the Bank of California all merged, and in 1966 the Interbank Card Association was formed. The ICA then created Master Charge: The Interbank Card, which in 1979 became the Mastercard. Throughout the 80’s and 90’s, the company expanded globally, and the products and services just grew and grew. They became the first ever company to issue a payment card in the Republic of China, and they also partnered with Europay International to launch Maestro, the world’s first online debit programme. Next came the well known “Priceless” campaign, which helped to really boost the brand and make the company memorable throughout the world. The last 20 years has seen the company grow immensely, and with the rise in products, mergers, services and innovative ideas, more than 25,000 financial institutions issue the Mastercard to their consumers making it one of the largest cashless banking systems in the world. Mastercard are also working strongly alongside the government and public sector too, and they are constantly developing programmes and solutions to make the world more liveable. There’s a strong focus on reducing costs, gaining efficiency, curtailing fraud and corruption and advancing social progress, and this is all again aimed to make overall payment needs of consumers the most efficient they can be. 1966, the ICA is born – A group of banks across California merge to form the Interbank Card Association. 1969, Master Charge -Master Charge: The Interbank Card is created. 1979, Mastercard – Master Charge becomes Mastercard. 1980’s, worldwide distribution – The company expand globally and launch their first ever Mastercard business card. 1990’s, Maestro – In partnership with Europay International, Mastercard launches the world’s first online debit programme, Maestro. 1997, Priceless – The famous “Priceless” campaign is launched. 2001, Mastercard Advisors – Mastercard launch an advisors service focussed solely on payments. 2002, Europay merger – Mastercard and Europay become a private share corporation. 2006, New York – Mastercard transitions to a new governance, and begins trading on the New York stock exchange. 2009, Travelex – Mastercard acquires Orbiscom, Datacash who run Travelex, Trevica and Truaxis. 2010, new ideas – Mastercard Labs is established. 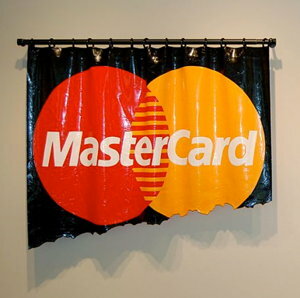 2013 Masterpass – Mastercard Masterpass is launched. 2016, evolving – Enhanced Masterpass and Vocalink is launched. The Mastercard brand is expanding everyday, and the team behind it are making every effort to make it one of the best payment services in the world. Innovation is at the heart of Mastercard’s 50 year history, with the hope of making payments faster, easier, convenient and more secure. 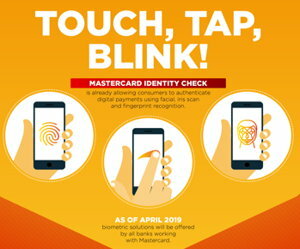 In 2018 Mastercard introduced the idea of Biometric identification. This is brand new, highly innovative software that aims to provide ultimate safety online for all Mastercard consumers across the world. When purchasing products online in future, all Mastercard users will be identified via eye scans and finger prints in order to process payments. There will be a simple touch, tap and blink process to go through each time, in order to prove you are the actual card holder using the account. This is an extremely exciting venture for all online shopping and payments, but will especially help enhance security measures when playing online bingo. You will never need to worry about fraudsters or hackers again with this revolutionary new feature, and payment will be even easier when depositing for your favourite bingo games. Mastercard and Maestro credit and debit cards are one of the easiest and most popular methods of processing payments on an online bingo site these days. Providing that the card is in credit with sufficient funds, you can deposit and withdraw funds in just a few simple steps. Nearly all online bingo sites will require you to register a card when signing up as proof of age nowadays anyway, which makes things even easier along the way. As long as you entered a card that you wish to use to fund your online bingo, then you won’t need to enter any further details to start playing away. Alongside Visa, Mastercards and Meastro cards will be issued via your own personal banking provider. The card will be attached to your personal bank account too, so it will automatically make it easier to keep track of all payments via statements and online banking etc. Select card payment and choose either Mastercard or Maestro. When it comes to withdrawing funds this is also pretty simple with Mastercard and Maestro. A lot of online bingo sites will generally pay out any winnings the same way that you deposited. Therefore if you paid in using your Mastercard or Maestro, your requested winnings will then go back onto that card too. Again if you have several payment options set up on your account, then just choose the Mastercard or Maestro option when withdrawing if you wish the winnings to go back onto that card. As mentioned before, the Mastercard company themselves don’t provide rates and fees for their consumers. Therefore it is worth checking with your own specific bank or building society to find out whether any charges may occur when using a Mastercard or Maestro card to fund your online bingo account. Generally credit cards are more likely to invoke charges than debit cards when used online, however this will all be down to the initial agreement made with your banking provider. All Mastercard and Maestro payments are generally instant. Withdrawal processing times can vary, however payments usually take between 3-5 working days to reach your account. On rare occasions, some of the smaller online bingo sites may not allow you to withdraw funds back onto a Mastercard. This is very often not the case, but if it is then you will be able to withdraw the funds via a bank transfer. This will take between 7-10 days to receive the funds. Again, this would be very rare, but just always double check the terms and conditions before depositing with any online bingo site. Whilst using a Mastercard or Maestro to fund your online bingo account is considered one of the most simplest and quickest methods of payments, as with most payment methods these days there are always some factors to take into account. Some credit and debit cards may come with spending or transfer limitations on them, so always check these with your banking provider before using your card. Generally however as long as your Mastercard or Maestro is in credit with sufficient funds, then you should be able to use the card very easily for deposits and withdrawals on your chosen online bingo site. Mastercard is a massive global corporation, and they boast some of the best online security measures to date. The company know that safety and security is a top priority for customers, card holders, retailers and partners, so are constantly developing new and better ways to keep payments safe. Zero liability protection – Have peace of mind knowing that the bank or credit union that issued your card won’t hold you responsible for unauthorised transactions. Identity theft services – 24/7 access to certified resolution specialists. 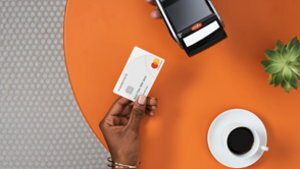 Mastercard chip technology – The latest microchip technology to increase protection against fraud both home and abroad. Unfortunately on rare occasions safety can be breached, so it is always best to be on your guard and never enter payment details if a site doesn’t feel official or secure. It’s best to be informed and vigilant at all times online these days, and try and avoid clicking on any third party links or emails etc. If at any point you feel like your personal details may have been compromised, then you should contact your banking provider immediately. The chances of this happening are highly unlikely whilst playing online bingo, but you will be in safe hands with Mastercard should anything fraudulent ever arise. If you should ever come across any issues whilst using your Mastercard or Maestro to fund you online bingo account, then you can always contact your own banking provider for help. Most online bingo sites will also have their own FAQ sections too, with a live chat feature if it’s something regarding their own banking system. There is also a list of local office addresses available on the website too with individual telephone numbers, plus the company have a strong social media network on Facebook, Twitter, YouTube and Instagram. Mastercard is a huge global corporation with a wealth of experience in cashless payments. 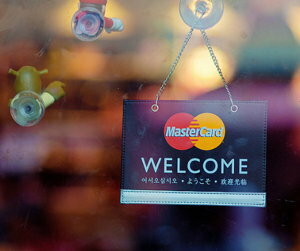 It’s really east to get hold of a Mastercard in the UK via several local banking providers. You will nearly always have to register a card when signing up to an online bingo site these days anyway, so you won’t have to set anything else up after that. Once registered, most sites will allow you to both deposit and withdraw all on the same card. It’s really easy to keep track of all payments via your personal bank statements and through telephone and online banking too. Depositing funds into your account will be instant. Withdrawals are fairly speedy, and you should receive any winnings within 3-5 working days. There is an extensive help section available on the Mastercard website should you need any advice or have problems with your card. Mastercard have a huge focus on the safety and security of their consumers, and there are exceptional security measures always in place. The company commit to being responsible and sustainable, and they are always funding charitable organisations and helping to give back to the community. It’s very safe to say that Mastercard is an exceptionally renown global enterprise that always has consumer happiness at it’s heart. 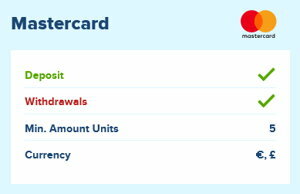 Mastercard and Maestro cards are a great way to fund your online bingo accounts, as all in all they are easy, safe and simple to use.